Fry bacon in a pan without oil until crispy. Rest on a plate lined with paper towel to soak up the excess fat. In the meantime, cut and slice the avocado. Drain the mozzarella cheese and slice. 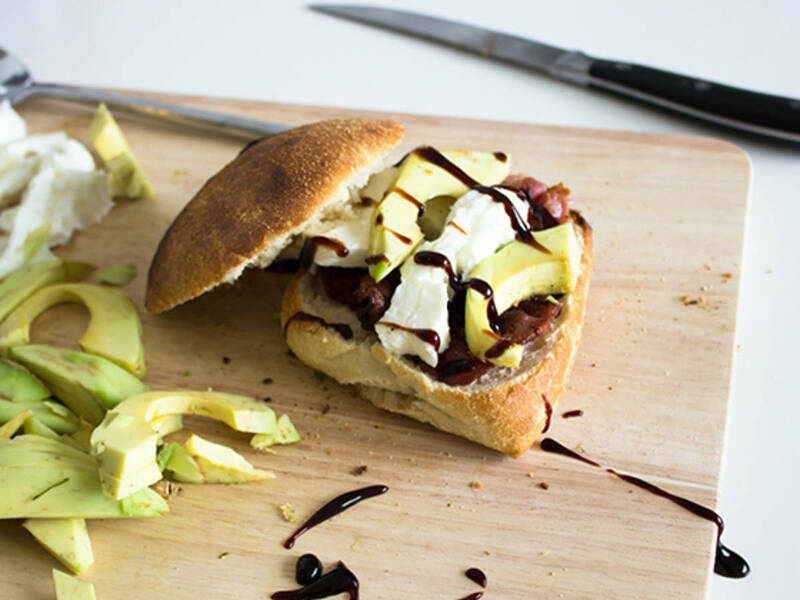 Slice each ciabatta bread bun and add bacon, avocado, and mozzarella to the base. Garnish with balsamic glaze. Enjoy!